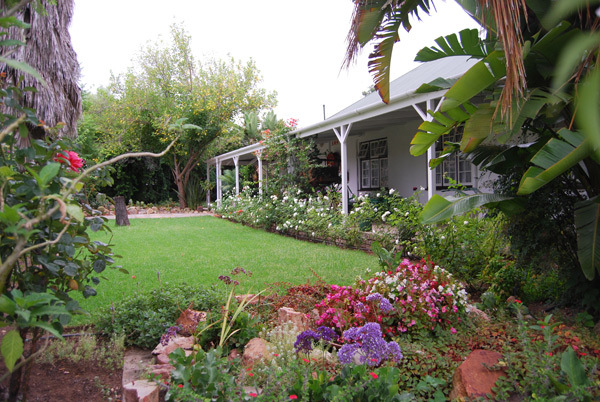 Best Little Guest House is a unique Bed and Breakfast situated in South Africa's picturesque and historic town of Oudtshoorn, Klein Karoo. It has been especially designed to cater for the needs of travelers, both tourist and working sector, who can relax in a quiet, friendly and secure environment. 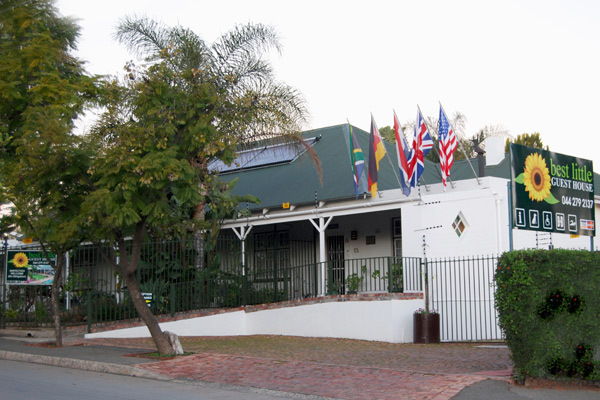 Your hosts, Edy or Rina, offer warm hospitality in an informal and comfortable atmosphere, dedicating their time to assist travelers make their Oudtshoorn experience memorable. 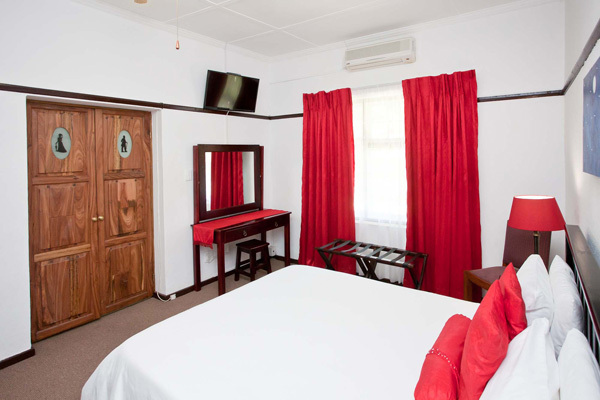 We have eight individually styled en-suite bedrooms which includes DSTV, Free WiFi, Air Conditioning or Heating. Tea and Coffee as well as a work desk. 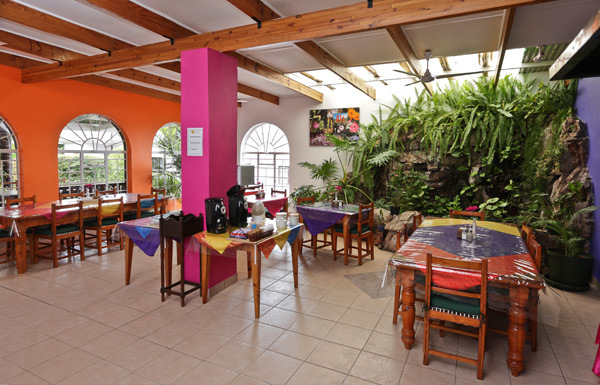 In the spacious dining room there is a large refrigerator, freezer and microwave for our guest use. 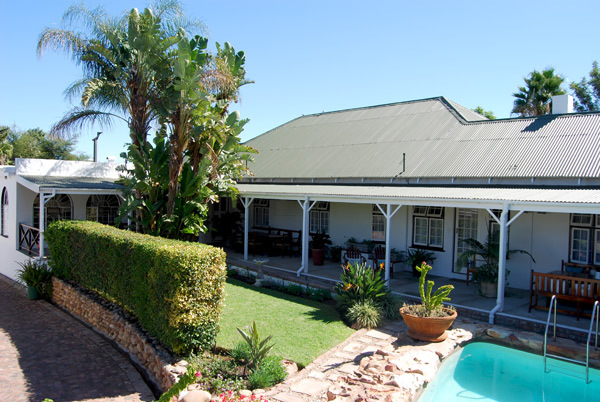 There is ample off-street secure parking, outdoor living areas, braai/barbeque facilities and a picturesque mountain rock swimming pool. Breakfast is optional or you can visit the restaurant across the road from us. 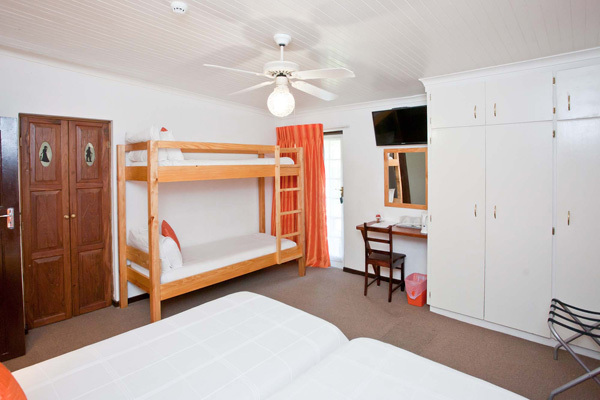 We are situated in town, about 5 km's from Cango Wildlife Ranch and 9 km's from an Ostrich Show Farm. 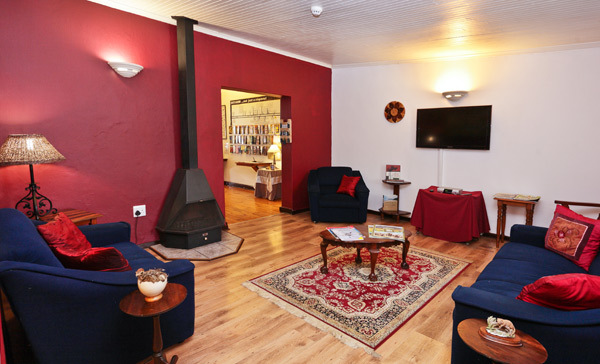 Swartberg Nature Reserve is 42 km's from the property, while the Cango Caves are 32km's away. R80 per person - no charge for children under 6. Driving towards George in Langenhoven Road, Turn left into Plein Street, approx. 1.8 km from town. Best Little Guest House is No 15, just up the road on your right hand side. The African buffalo differs from the domesticated water buffalo found in other parts of the world, although they both superficially resemble one another.